Now few people remember that the Committee of Soldiers’ Mothers was created by a small initiative group of caring mothers. Since then, 30 years have passed. Over the years, the country and the Russian army have experienced a great deal. 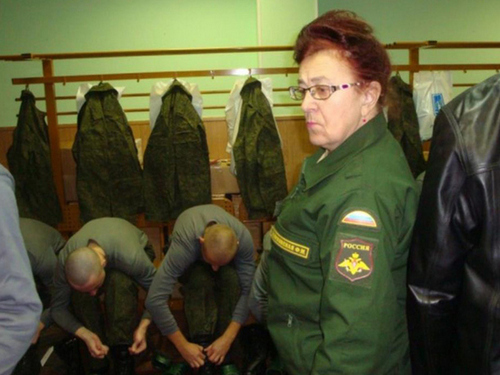 The head of the Committee of Soldiers’ Mothers “MK” was told by its leader, a member of the Public Council under the Ministry of Defense, Fleur Salikhovskaya. – Flera Malikovna, they say that the highest political forces patronized your structure at the very beginning. They say its appearance was promoted by the first lady of the USSR Raisa Gorbachev. It’s true? – Yes, it was in March of 1989. Then across the country in the army rowed all young people, including students. The first course, the second – it does not matter. Fair discontent grew, mothers grumbled. Gradually, mothers whose children fell into the millstones of a strange recruiting campaign united in an then informal organization. I went there. And we made a proposal that this outrage, when grabbing students straight from universities, stopped. But nobody paid any attention to us. We understood that we need legal force. And then I suggested: girls, but let’s write to Gorbachev, so that he would cancel this call … And I myself undertook to hand over the letter personally to the then President of the USSR. – In 1991, the Union collapsed, and flared up in the country. Karabakh, Transnistria, Chechnya come to memory immediately … Was there a lot of work? – I still remember the first Chechen one with a shudder. It was a real hell. Especially in the first days of 1995, when Russian troops suffered the most terrible losses in the “New Year” storming of Grozny. So many people went to us … And not only parents. Sisters, brothers, even grandparents. – How does the committee interact with the Ministry of Defense? Conflict? – On the contrary, we constantly work together, whenever possible we attend meetings of draft commissions, we participate in joint cultural events. But with some ministers of defense, I confess, it was not easy. – Whom do you mean? – Minister of Defense Pavel Grachev. I will say this: it was very difficult to work then. I confess that I did not see him as defense minister. And then after all this Chechen slaughter fell on his rule, if I put it that way. – And after were the ministers better? – After Grachev, they somehow very quickly alternated – Rodionov, Sergeev, Ivanov … But none of them particularly bumped into my memory. We established cooperation, traveled to military units, helped fight hazing, collaborated, helped cope. But I remember Anatoly Serdyukov. – He remembered a lot of people. And not with the best hand. – Serdyukov began to disband the military units, to close the hospital, and with them disappeared polyclinics. Even veterans of the Great Patriotic War complained to me about this. Because of his initiatives, 90-year-olds actually remained without medical care! – They somehow resisted, even if they wrote letters, complained? – They wrote! And what’s the point? Serdyukov all signed long ago. But I still got together and went to the Ministry of Defense. After all, I was literally begged: Flera Malikovna, help, you are our last hope. – Well, why? Justice managed to recover! True, the case helped us then – the very next day, Sergei Shoigu became the Russian defense minister. He began to abolish criminal orders. Sergey Kuzhugetovich – Minister of a completely different caliber! During his time, the conditions of service radically changed for the better: instead of the stuffy, poorly groomed barracks, today everyone has comfortable headsets with showers and necessary household appliances. Nutrition has become completely different. But the most important thing is order. The most important fear of a young soldier – hazing, which was in the 90s, is no longer to be met. In the old days they said about such generals as Sergei Shoigu: the servant to the tsar was the father to the soldiers.